Lots of strong and bitey cheddar and tender cauliflower florets make a savory waffle that is delicious for breakfast, lunch or dinner. I am a sucker for an enthusiastic invitation and folks who are organized. 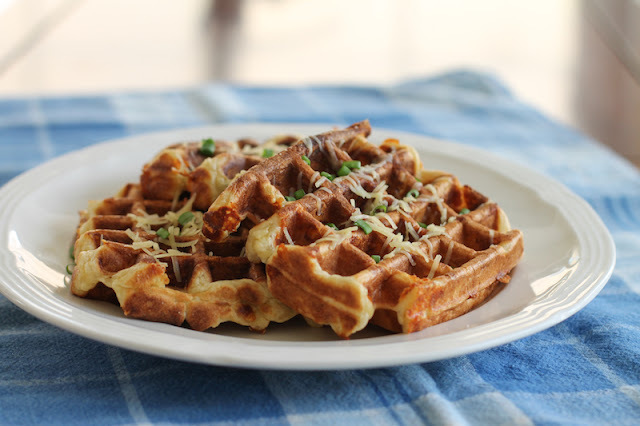 Way back in July, I read a Facebook post from Kim of Feed Me, Seymour proclaiming her love of waffles and inviting bloggers to join her for a celebration of those fluffy squares in far away September. That's what I call planning ahead! (Thanks, Kim!) 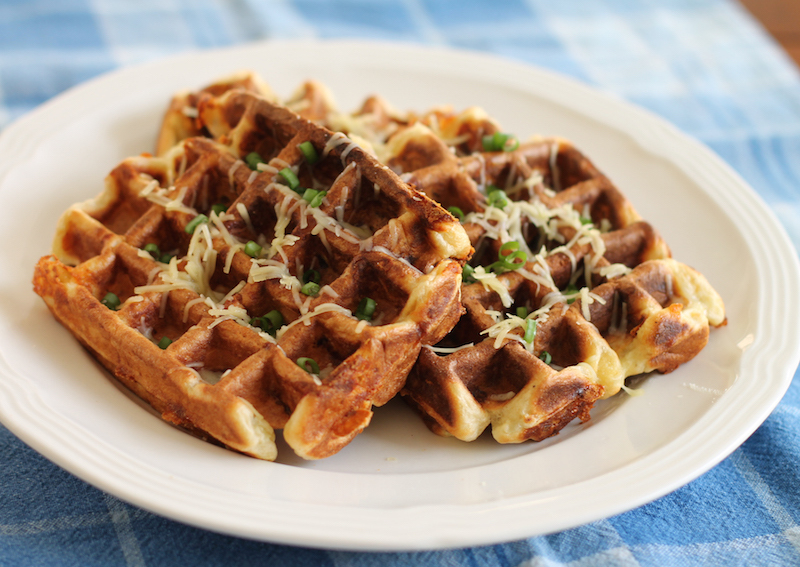 I had been ruminating already about the possibility of cauliflower cheese waffles ever since I created the loaded baked potato waffles for National Waffle Week last year so Kim’s invitation was just the push I needed. If you love waffles like we love waffles, make sure to scroll down after my recipe to see all the creative variations we are sharing today! My friend, Jane, has kindly invited me to share a Thanksgiving feast with her dear family twice in the last few years. First when I was all alone and lonely, just before we moved from Kuala Lumpur to Cairo and then again last year when my visit in KL happened to overlap with the holiday. I was delighted to accept because 1. I love her and her family and 2. She makes the best cauliflower cheese. It’s an essential dish in her Thanksgiving line up with its thick, cheesy sauce poured over cauliflower then baked to golden perfection. I could eat just that and be happy forever. 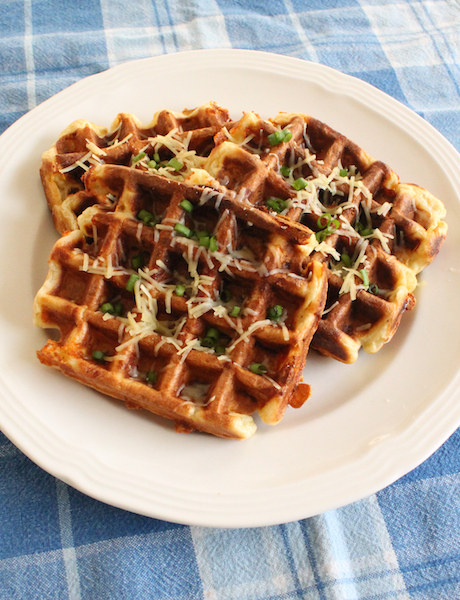 I was channeling Jane’s dish when I created these savory waffles. 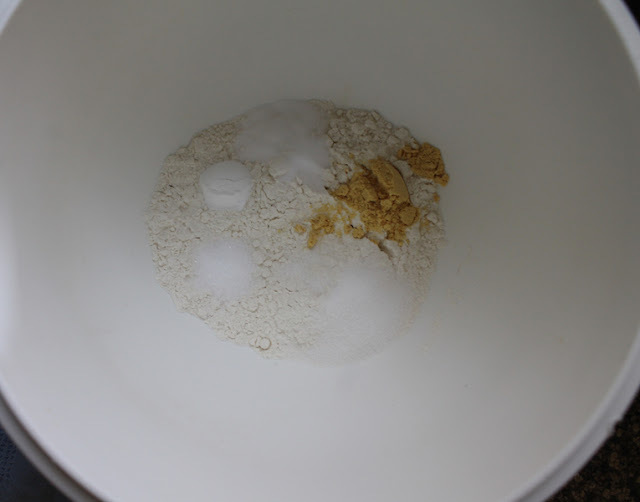 1 teaspoon mustard powder – I use Coleman’s. Steam the cauliflower florets for about 5-7 minutes or until fork tender. 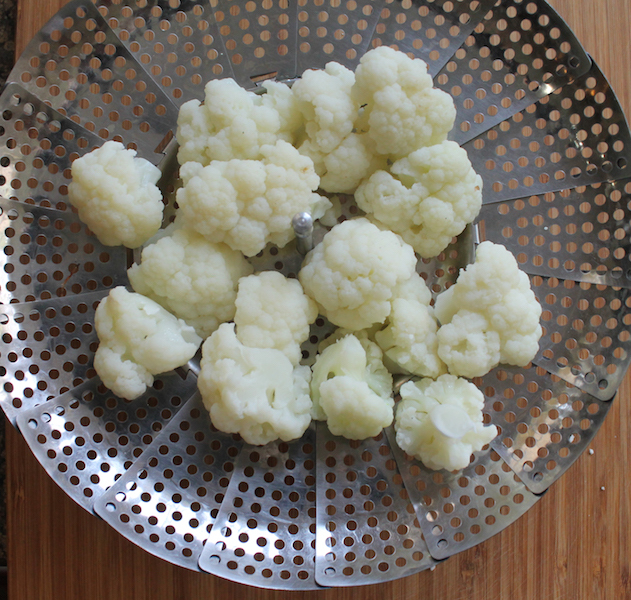 Remove from the pot and allow to cool in the steamer or in a colander so any excess moisture will drain off. Transfer to some paper towels to dry further. 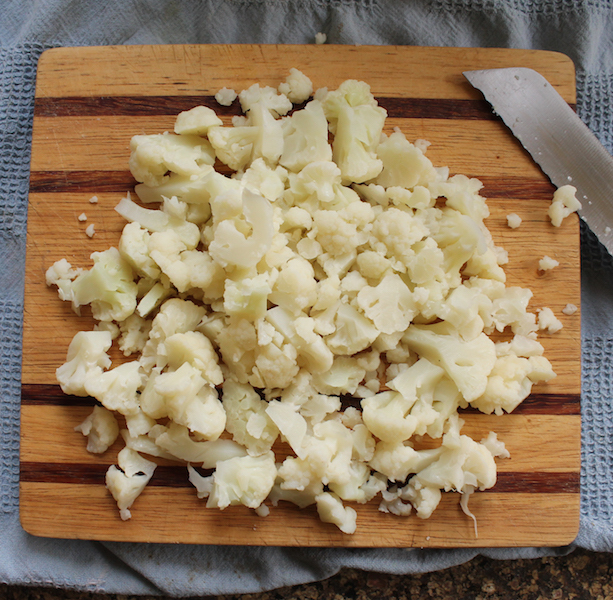 Once the florets are completely cool and dry, chop them up roughly. You want them in pieces that will show up in the waffles without being so big that they stop the waffle iron from closing. 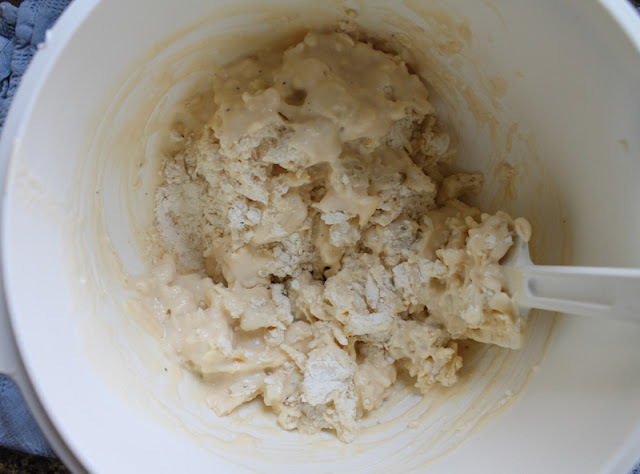 Combine the flour, sugar, mustard powder, baking powder, baking soda, salt, and a few generous grinds of fresh black pepper in a large mixing bowl. Pretend the pepper is there, okay? I did add it after the photo. 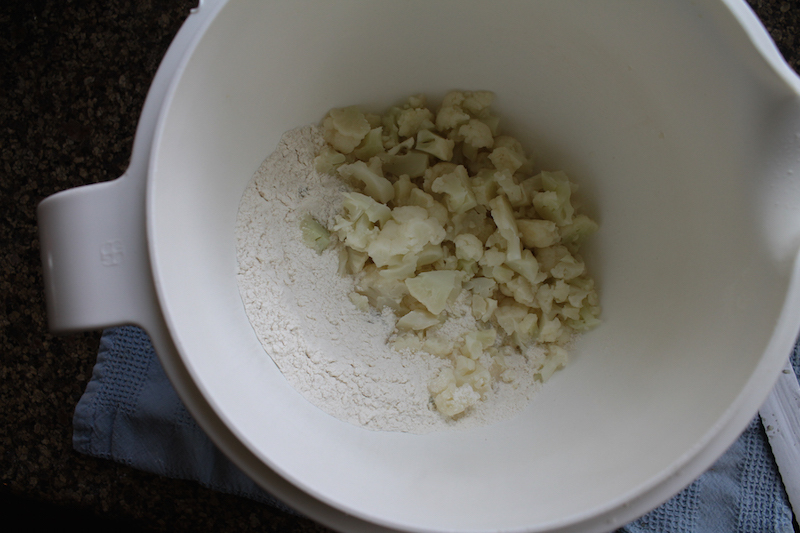 Tip the cauliflower pieces into the flour mixture and stir well so they are coated with flour. 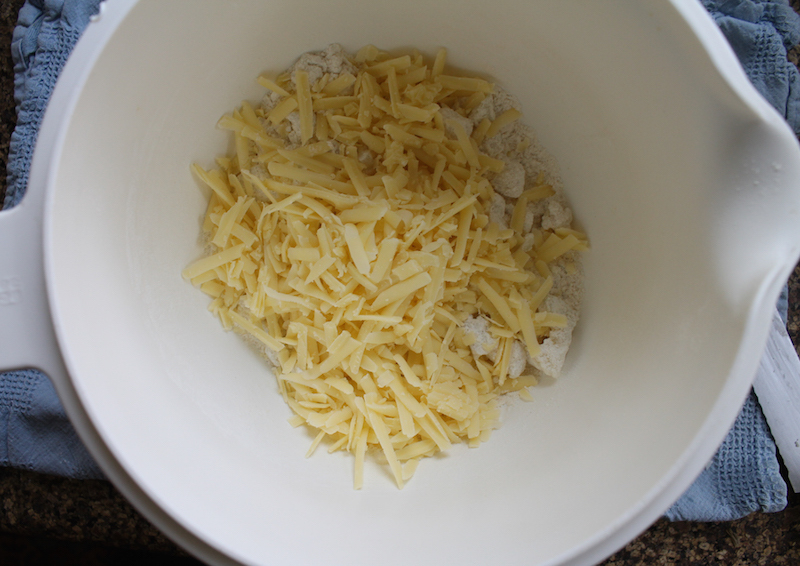 Now add in the grated cheese and stir well. 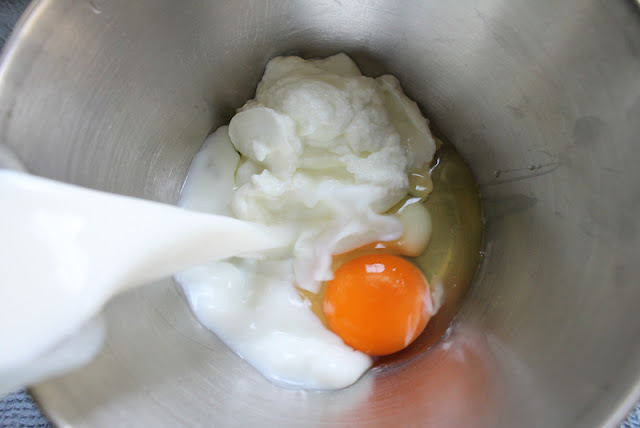 Whisk the egg, yogurt and milk together in a smaller mixing bowl. Now fold the wet ingredients into the dry ingredients. Do not overmix! Using a pastry brush, grease your waffle maker with a little canola oil. 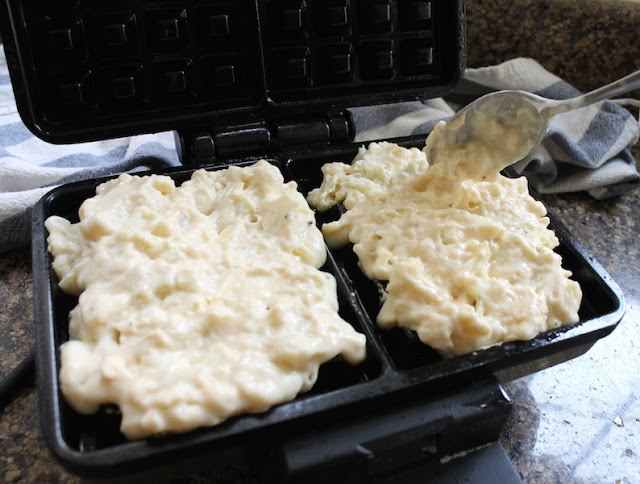 Spoon the manufacturer’s recommended amount of batter into the center of the lower half of the waffle maker, being careful to leave room for when the batter spreads out as you lower the lid and also for when the waffle starts to rise when baking. Close the lid and watch for the signal that your waffle is cooking. On my waffle maker, the light goes green when it is ready for batter, red when it is cooking and then green again when the waffle is ready. I leave the waffle in just a little bit longer after the light turns green the second time so the waffles are nice and crispy. But if you like them less crunchy, by all means take them out earlier. Serve topped with a little extra grated cheese and some green onions, if desired. If you have any batter left over, go ahead and baked the waffles and store them, wrapped in cling film, in the refrigerator or freezer. These reheat beautifully in the toaster. Special thanks to Christie of A Kitchen Hoor's Adventures for our lovely graphic! 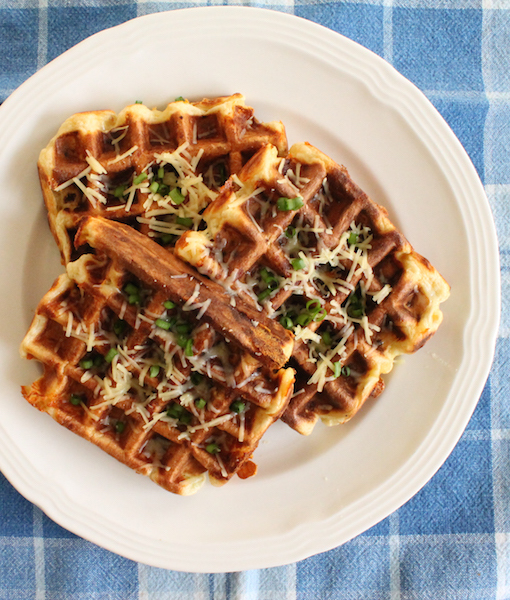 Are you ready for Waffle Week 2015? Whether you like ‘em sweet or savory, we’ve got you covered!